Bluetooth is some of the best technology we have, and its uses are just about limitless. When it comes to a better listening experience for you and your tunes, a Bluetooth audio receiver might be just what you need. Designed to enhance your music and make things that much more pleasurable, it’s a piece of tech that won’t disappoint and that you never knew you needed. But how do you go about finding the right one? In this guide, we have gathered some of the best Bluetooth receivers on the market, alongside the relevant Bluetooth receiver reviews, helping you to choose one that is perfect for you and your home. 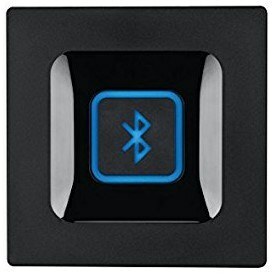 One of the most commonly asked questions is “what is a Bluetooth receiver and how does it work?” and the answer may come across as surprisingly simple. Essentially, it acts as a bridge between your device and the audio system in question – whether that is a TV, headphones, or stereo. So, if you have an AV receiver that you really want to stream your tunes to, it’s no longer impossible. All you need to do is plug the receiver in, set up your device so that they synchronise and connect, and you are ready to go. The receiver plugs into the AV section of your audio player so that nothing is inaccessible anymore. As the vast majority of electronic devices are now sold with Bluetooth already incorporated, you shouldn’t find yourself struggling to figure out which devices will connect. Everything from phones to laptops works with receivers, so all of your music will be accessible all the time. You will most likely find that a Bluetooth receiver changes your listening experience for the better, and that it is one of the best tech purchases you will make this year (no exaggeration). 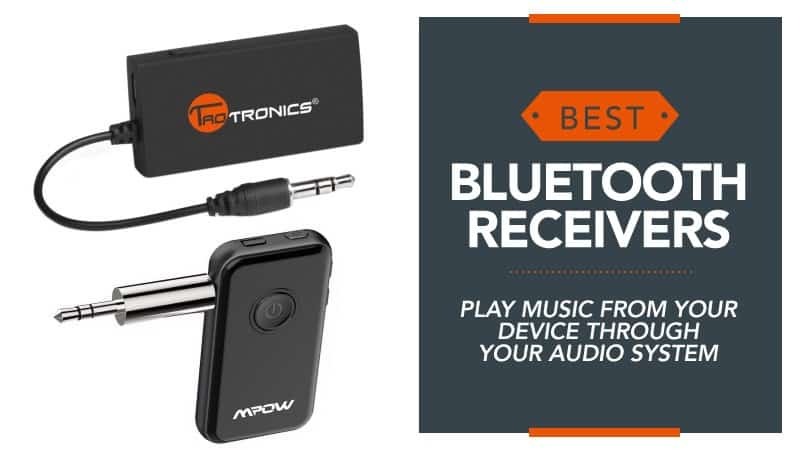 Now that you know everything you need to make the best choice for your new piece of tech, have a look at the Bluetooth receiver reviews below to see if you can find one that is right for you. 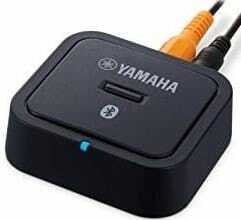 If you are looking for a good quality standard Bluetooth audio receiver, then you might just be in the right place. 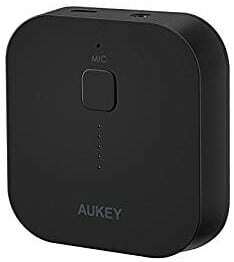 This model from Aukey has everything you need to start streaming your tunes through your old audio devices. Take a look below and see if this is right for you. This model of Bluetooth receiver has a very sleek and modern design, so it will fit in with the aesthetics of just about any home. You can hook it up to your headphones, stereo, or speakers via Bluetooth so that you can stream music from any of your devices. Plus, setting it up is so easy that you only need to press one button. You can connect up to two devices at one time, giving you more options for a diverse and varied playlist. You can even take calls on it, and it supports hands-free so that you can answer the phone wherever you are with ease using the built-in microphone. With eight hours of call or play time, it lasts a while, and even has over 700 hours of standby life. There have been a couple of occasions where the audio has dropped out, and the device does shut down after a short non-use period which can be frustrating. 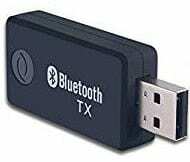 This budget model of Bluetooth receiver is perfect for those who do not want to spend a great deal of money, but still, want a device that can do everything that is advertised. Despite a few niggles with the odd customer, this model generally holds its reputation firmly, and provides an excellent listening experience with wonderfully crisp sound. It’s certainly one to consider picking up for your home. Q: Does it work while charging? A: Yes it does work whilst charging. Very good value. Q: How long does the battery last. From fully charged.if playing music constantly. A: It can work about 8 hours. If stay in standby mode, it can last about 720 hours. A leading technology brand, Logitech is one of the best suppliers of audio devices and home electronics. If you are looking for a wireless speaker adapter, then you have come to the right place. We doubt this model will disappoint, but feel free to check out the reviews to see if it’d right for you. This receiver has a snazzy design that will sit nicely in any home, or even on your desk. It can connect to multiple devices, and the pairing process is very simple, with a quick push button for fast and easy connection between the receiver and your chosen devices. Plus, the sound system adapts to your personal needs, so you know you are getting the most out of it. It works with multiple devices as well, so your PC speaker and home stereo system are covered, amongst other pieces of tech. The sound quality is excellent as well, providing you with a crisp experience, as well as stunning acoustics. With a 15m range, you can sit from the comfort of your chair and have your favourite songs playing in the background. Switching between two devices when they are both paired can be a little tricky, and some found the sound at full volume to be a little tinny. 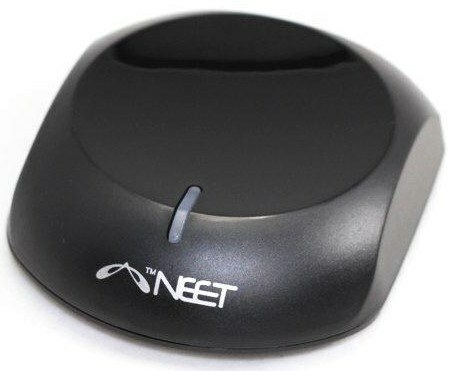 Available at a low price, this Bluetooth receiver will slot into just about any budget. It has everything you would expect from such a device – from the sleek appearance to the excellent functionality and quality of sound. While there have been one or two issues from customers, they are easily resolved, and overshadowed by the amount of praise this product has received. A great receiver at an excellent price. Bluetooth receivers are not limited to speakers and stereos, they can be used for headphones too. 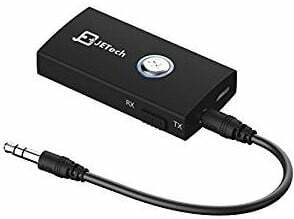 From top brand JETech, this Bluetooth receiver for headphones could be the perfect match for you. Take a look below and see for yourself. This Bluetooth receiver has a very portable design that can be slipped into a pocket or backpack with ease, giving you the ability to take it with you wherever you go. It allows you to add a wireless function to everything from your TV to your headphones, so you are covered regardless of the way you want to listen to music. It works as a transmitter and a receiver, and you can switch between the two functions with a very simple push switch. It has a high-quality audio system, so you can listen to your music without compromising the quality of sound. Plus, it comes with a USB charging cable so you can keep the battery full wherever you are. The range on this particular model is not great, so it can’t be too far away from the mobile device that you are using. 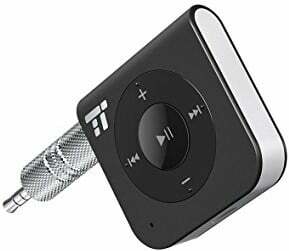 With a low price tag, this is a great model to go for if you are looking for a good quality Bluetooth receiver for headphones without breaking the bank. While the range of this model is not fantastic, the sound quality is, and that more than makes up for this minor disadvantage. Plus, it works as both and transmitter and receiver, providing you with the best of both worlds. A great little model to go for and at a very reasonable price. If you have an outdated car radio, then this could be the perfect solution for you. With this Bluetooth receiver, you might just find yourself listening to music that you have only dreamed of singing along to in the car. Take a look below and see for yourself. His nifty little Bluetooth receiver is highly portable and perfect for carrying around with you from your car to your home, and it can even be used with a pair of headphones. It’s able to receive signals from just about any device out there, including smartphones, making it compatible with just about all the tech you own. It has a built-in microphone that allows you to take calls while you are on the move, and the sound has been calibrated so that everything is crystal clear – whether you are listening to music or using hands-free. With only 1.5 hours of charge, you receive 15 hours of play time, and you can easily connect two devices at once. This brilliant Bluetooth receiver comes at a great price that you won’t want to miss, and it will bring you the freedom of listening to the music you love the most from the comfort of your car – so everything from road trips to the drive to the supermarket is covered. With a range of excellent additional features, you won’t be disappointed with this model of receiver. From Andven, this model for the television brings you a new level of use and freedom that you never realised you missed. If you think this could be what you’re looking for, take a look below and see what the reviews have to say. This model gives the work portable a new definition, as it is all compacted into one little and easy to carry USB stick that you can plug straight into your TV or PC. Despite its lightweight and compact build, it still provides you with clear sound and an excellent listening experience. The volume is also fully adjustable, so you can change it to suit your needs perfectly. It is fully compatible with most Bluetooth devices, so your phone or laptop is likely to work perfectly with this model. With a 33ft range, you have a lot of space to play with, so you don’t need to be close to the receiver at all. Plus, the fact that it is USB powered means you don’t need to worry about running out of charge. There have been no negative comments about this product so far. This reasonably priced model of receiver will fit comfortably into most budgets, providing you with an excellent listening experience that doesn’t break the bank. Easy to set up and pair, this model will be up and running in no time at all, so you can enjoy good sound quality without interference. With stellar reviews and an excellent track record, this model is one that’s hard to beat. Here are some additional models of Bluetooth receiver for you to look at, just in case the above options did not quite suit your needs. This wireless Bluetooth receiver is available at a reasonable price, and it offers high-quality audio from all of your music playing devices – whether it’s an iPhone or an Android. It’s simple to set up, and only takes a matter of minutes before it is ready to go. It can be paired with up to eight devices as well, so if you live in a large household, or just really love your tech, you are completely covered. With a simple USB cord to power it, you can use this nifty device anywhere at any time. Created by a leading and trusted brand, this model from Yamaha is sure to leave you feeling impressed. Reasonably priced, it shouldn’t push your budget too far, and the quality of sound is excellent. With wireless music streaming from all your devices, you will be hard-pressed to find something that this is not compatible with. The pairing process is a simple one, and it can connect to multiple devices, so you will always have your full selection of music available. Hopefully, this guide has helped you to find the best Bluetooth receiver for you, or at least given you an idea with regards to the one that you want to buy. With so many different types on the market, it can be hard to choose (and impossible to select the best of the bunch), so it’s easier to just organise them according to what you need. Whether you are looking for something that has a budget price, or you need a receiver for your car/TV, this guide has everything you can think of. The perfect one is sure to be here waiting for you – or at least give you the inspiration you need. What did you think of our Bluetooth receiver guide? Are there any models that you would have liked to see here? We love hearing from you, so let us know in the comments below.